A multi-site contact inorganic fungicide. Sulphur is a non-systemic contact and protectant fungicide with secondary acaricidal activity. 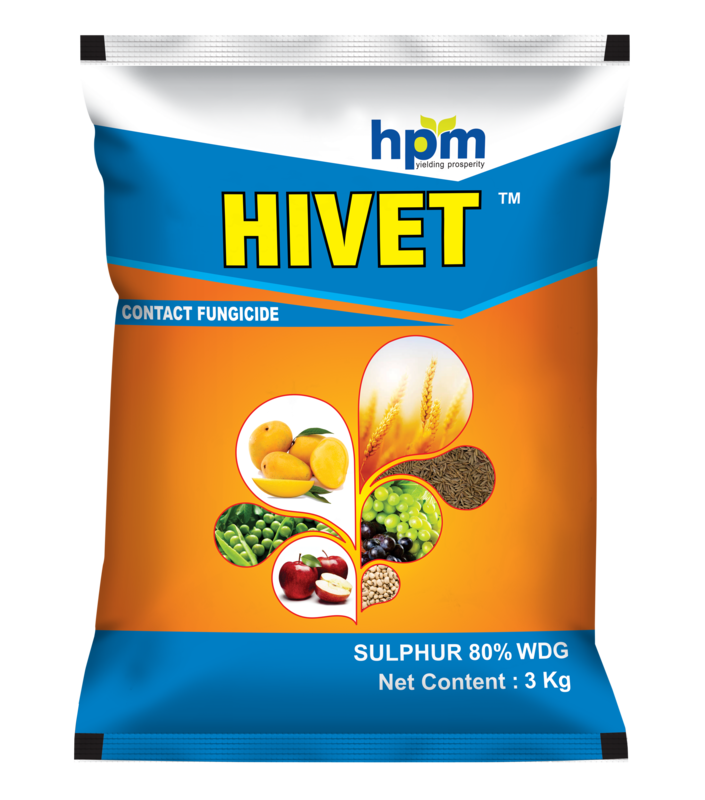 Hivet is a dust free, flowable micronised sulphur granules, ease of measuring & handling. 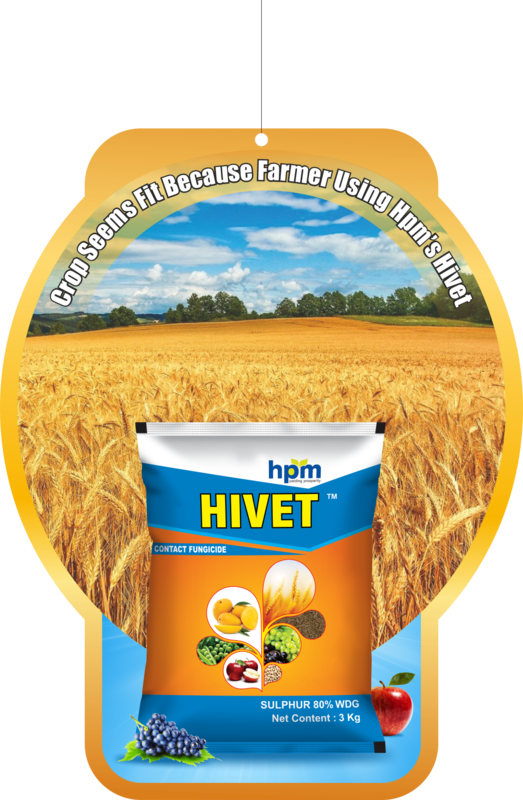 It helps in maintaining the appropriate PH of the soil, thereby better uptake of other nutrients. It controls metabolic & growth processes within plant cells. It promotes nodulation in the legumes, thereby helps in nitrogen fixation. It is non-specific thiol reactant, inhibiting respiration. Reduced to hydrogen sulphide, which is the active form. Non-systemic fungicide with contact and vapour action. Secondary acaricidal activity. It controls metabolic & growth processes with in plant cells. For reasons of phytotoxicity, mixing with oils should be avoided. A degradation proceeds primarily by microbial reduction in and on plants. It is non toxic for mallard ducks and pheasants,bobwhite,quail. It is non toxic for birds. Itis non toxic to fish.it is non toxic forbees, worms.